I am so excited to share with you all of the new things I have been praying over and planning for the next GMG session! For the last 5 years, we have used the SOAP method to study God’s word. The SOAP method is not original to me. It is a method that has been used by other ministries and other websites. My mother used this method to disciple me when I was in 5th grade (I still have my journal from 1986). That is why I chose it for GMG. 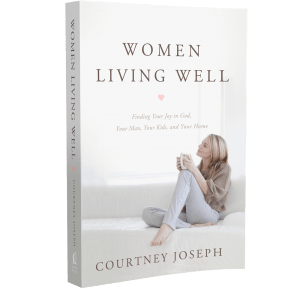 I love this method but wanted something unique – just for us – to represent the heart of Women Living Well. In Chapter 11 of my book, I share about my mom’s admirable walk with God. Her colored pencils were always beside her Bible on our kitchen table, and I could wake at odd hours of the night to find my mom there dissecting the details of Scripture. She kept concordances and commentaries at her fingertips, and this is how she spent her free time. 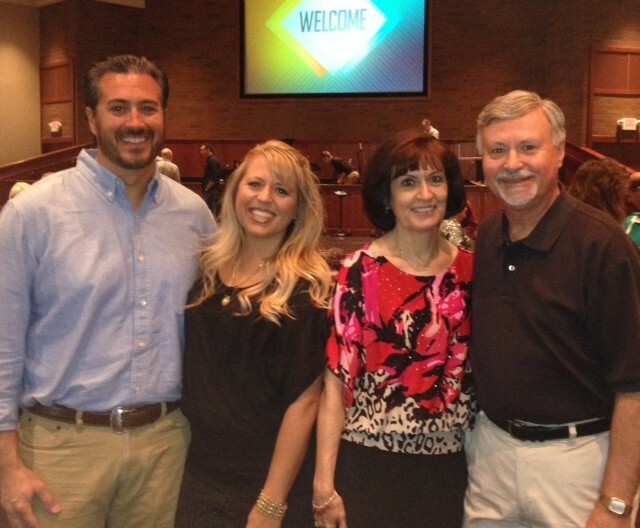 My husband and I with my parents in church. As a child, I remember the radio in her bathroom was always running with sermons emitting from the tiny speaker. 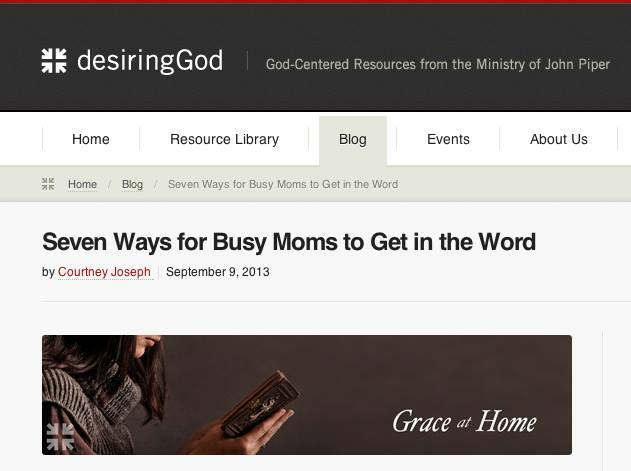 Mom was soaking in God’s word any way she could. Even now, I sit beside her in the pew every Sunday to worship, and she still furiously takes notes on the sermon in her notebook. At home she has a huge stack of her notebooks dating back to when I was born. She is still a spiritual sponge; continually seeking God and to know Him more. My mom is a living example of a woman who is being drenched in living water and, as a direct result, is living well. I recognize we live in a fast paced, busy society. Just getting into God’s word for 5 minutes a day is a stretch for some of us – including me. Yes, I struggle with the discipline of being in God’s Word too. That is why I created Good Morning Girls accountability groups. Because I NEED accountability. So the study methods I’m about to share are optional. First priority is simply opening God’s word and reading it and spending some time in prayer. If you are looking to squeeze a little more out of God’s word, then I have some NEW Bible Study Methods that will help us go deeper with God in the NEW Year! This is the method you will find in our updated eWorkbooks. O – The O stands for Observation – Look at the verse or verses you wrote out. Write 1 or 2 observations. What stands out to you? What do you learn about the character of God from these verses? Is there a promise, command or teaching? 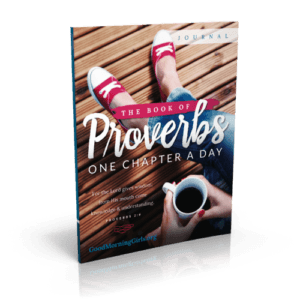 A – The A stands for Application – Personalize the verses. What is God saying to you? How can you apply them to your life? Are there any changes you need to make or an action to take? K – The K stands for Kneeling in Prayer – Pause, kneel and pray. Confess any sin God has revealed to you today. Praise God for His word. Pray the passage over your own life or someone you love. Ask God to help you live out your applications. 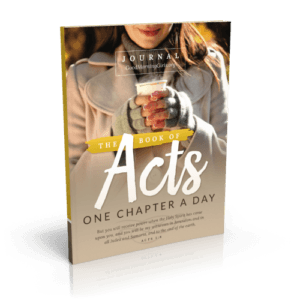 SOAK God’s word into your heart and squeeze every bit of nourishment you can out of each day’s scripture reading. Soon you will find your life transformed by the renewing of your mind! For those of you who are visual and like to mark in your Bible, I have a created a system for highlighting specific topics in your Bible. My mother followed the color and symbol marking system of Precept Bible Study’s. I grew up watching her spend hours dissecting scripture. It is a great system but time consuming and difficult to implement with our “one chapter a day” Reading Plan. So I created a simpler one just for us! You will find this method laid out in every updated eWorkbook as well! Have you wondered if we’d do any memorization as we read through the Bible? You aren’t alone – I’ve been asked this question. My concern has been that I often start out strong with memorization but then fizzle out. As your leader, I need to create something that is realistic and doable for me personally. It’s easy to assign memory verses every week – but if I’m not memorizing them myself then I am failing you as a leader. Every Monday on the blog, I will post one verse from our reading that stands out. I will create a printable of the verse as well. My plan is to print the verse (or multiple copies of the verse) and then place it in the kitchen, bathroom, car, my purse, pocket or beside my computer. I will pause and read it before I go to bed, when I first wake in the morning, and anytime in between. As I meditate on this passage through out the week – SOAKing in God’s word and squeezing all the spiritual nourishment out of it that I can – perhaps it will become memorized as well. If it does not – grace. There will be no memory verse tests in heaven. But I love God’s word and I want to savor it more! Do you love God’s Word too? 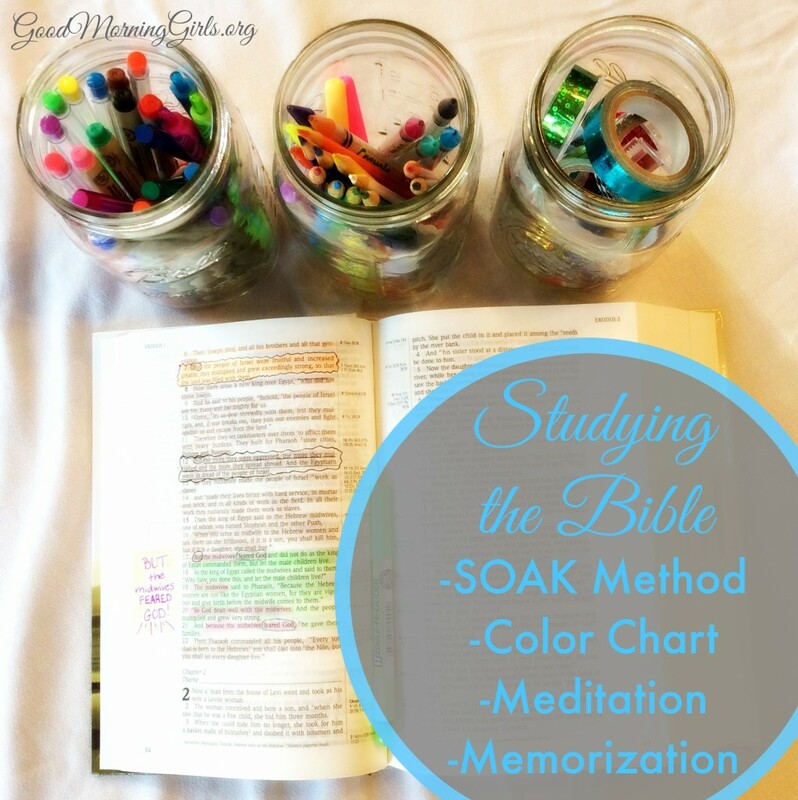 What do you think of the changes (SOAP to SOAK) and additions (Bible Coloring Chart and Monday Meditation and Memorization)? Do you have any other suggestions to make GMG better? I won’t be able to implement them necessarily this session but I’m listening. Added Note to answer your question – what are in those jars? Oh my goodness! A COLOR CODE! 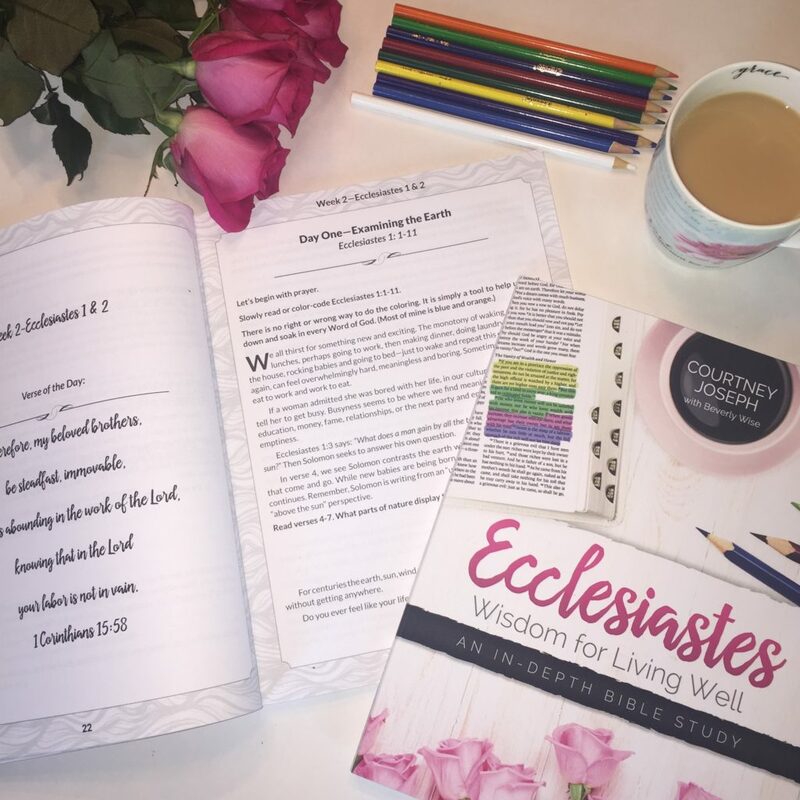 I am thrilled bc I have already but coloring up my bible since you blogged about gypsy.mama.nc on instagram and then I learned about bible journaling! I love your code and am def printing it! THANK YOU! And I think SOAK is genius! YAY! Looking forward to another year together! I am also excited about being with you ladies for another year. I pray that I can get connected to a group and have the accountability needed to stay on track. Hi there:) Was reading through this and wanted to ask how the accountability is going? I would like to help:) What city or do you live in? I live in east La. I am SO excited for a new year and new beginnings. Time to SOAK! I’m already enjoying this! I have trouble with memorization (64 yrs old lol) so this will give me a push. I do only use KJV so I am not able to print your verses. But went to Biblegateway and printed KJV for me! Thank you for GMG! My soak color coded bible study book was suppose to be here by the 11th and isn’t here yet. Can you tell me why color coding? I’ve seen it before, but never understood the purpose of it. I am all over underlining in my Bible when a verse speaks to me, but what’s the purpose of underlining just random words? I just don’t want to miss anything and make sure I understand. I love everything else though!! I’d like to know the same also! Excited to try it, but would like to understand what I’m doing too. Color coding the text is a tool to help us slow down and really think through the text. What is God saying? Is there a promise? A command? A story of faith or is it leading us to worship? Is the text about salvation, the coming of the Lord or about confession of sin. etc. I still do not really understand how to use this. Do you mark when you see a women of the Bible’s name etc? Thanks Courtney! Excited to start! I would LOVE to color promises and commands and what He is saying to me, but for the most part, I don’t understand the color code as you’ve stated in the wmg’s color code.. I want to learn though, if it will help me with my relationship with God, my family, my husband, co-workers and just life in general. Thank you for helping women be closer to what’s important..God and His word, so we can live the type of life God always meant for us a women to have. This is awesome! Today while out shopping I was led to purchase color markers for Bible Study. Then I come and see this post. I cannot wait to get started. I just came across the link to this via Pinterest. As I was baptized on Christmas Eve, I am trying to find a new way to utilize my study bible & learn God’s word. This is going to be so helpful! Definitely going to print/write some of these out & post them near my desk for constant reminders! I LOVE IT! Oh Hannah, how beautiful to be baptized on Christmas Eve! The birth of our Savior and the symbol of new birth in your life! Praise God! 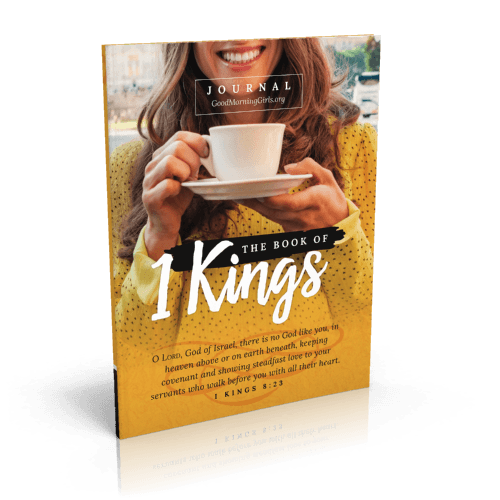 I like what you’re doing with GMG – or what GOD is doing with GMG! 🙂 I won’t be joining in the study. My oldest son – age 6 – wanted to start reading through the Bible last year. So far, as a family we’ve read Genesis thru 1 Samuel. Love that he is wanting to read through it! Melissa, that is so precious! LOVE the new system, especially the color coding!!! I do some Precept, but I get lost with all the symbols, etc. I don’t mark in my Bible for that reason, although I’ve wanted to. I just didn’t want to mess up and “ruin” my Bible. This is simple enough that I can use it. You’d think I’d have come up with something myself before now, I’m a reasonably intelligent 58 year-old woman, but no. Anyway thanks for your great idea and posts. I love the color chart! Perfect timing too. I just started looking around on how to do this. I love GMG and appreciate all you do for us. My small group has been such a blessing to me the past 2 years. Thank you. I’m in! Thank you for being faithful to God’s calling! Thank you Courtney! Merry Christmas & Happy New Year!!!! LOVE this and looking so forward to get going again on the 5th. Could you share where you found your highlighters with all those colors? Mine only have blue, green, yellow and pink. 🙂 And I’m not seeing bible highlighters online with all those colors. Love the new idea and look forward to implementing. Thank you so much Virginia!! I purchased a pack of markers from dollar tree with about 20 colors 3 months ago. All the colors listed in the color chart are there. They don’t bleed through (and I have pretty thin pages). Thank you Charlotte! I will look for colored pencils and markers that are marked “won’t bleed through”. Thanks so much!!! has a variety of highlighters that come in a pack with all those colors and more! I think I remember seeing Sharpie marked “won’t bleed through” at the office store… will check those out too. Thank you Monica!!! I use Sharpie Gel Highlighers as well and yes they don’t bleed through the pages. I had an issue with other highligher and therefore I am glad for these ones. Jumbo sized colour pencils are also pretty effective as the normal ones doesn’t show up on mine. 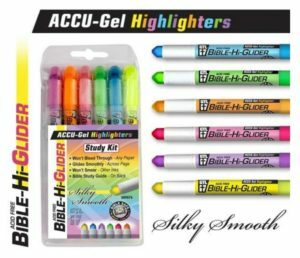 I found this blog post when doing a search on highlighter to mark in my bible besides colored pencils. I have ordered them and they work wonderful. I highly recommend ordering them. Thank you Janice! Looks like those will work great for writing. Thanks so much for the link!!! Just a note on the frixion pens, if the writing gets really hot, it will disappear. If you put it in the freezer, it will reappear. This may not be an issue for you, but something to note. I use them and love them, but I don’t leave it in a hot car. Hi Kim – I went back to this blog post and added in the names and links to all of the pens, highlighters and colored pencils in my jars. They are special non-bleeding highlighters and pens. Is it ok if I use gray instead of brown because as a woman with a warmer/darker skin tone, I didn’t want to associate the negative things, such as Satan or evil, with the color brown since that’s my skin color. Other than that I’m excited about the entire system and as a young adult I wanted something to assist me in going deeper into God’s word. Ha! I agree. Brown reminds me of my two sweet babies and, of course, chocolate. Nothing evil about any of those things! I’m assuming gray pencils/highlighters are harder to find so she was using the basics. Use whatever makes you happy! Thanks Ms. Tiffany!!! I totally agree! Happy New Year! So exited for the new year! I CANNOT wait! God bless you for being so failthful. I like the soak idea I think I will have to give this a try and see what get out of this as it seemed time for a change. Love the color chart idea been looking for one to start using but couldn’t decide what I wanted to use. Will have to copy down both soak and the bible color chart idea. Since i color in my bible it’s more easy to find things and to memorize. I’m new to your site. I was looking for bible study and found you. I think SOAK is great! I’m looking forward the new year and GMG bible study! I LOVE the new SOAK. I am excited for a new year!! So just so I’m not confused, we underline with a coloring pencil using the color that coordinates with the subject….why don’t i get this? Anyone? I too am a little confused. I have wanted to use some sort of system to highlighting my Bible, but everything I have checked out has been really involved and I have been unsure of how to implement it. This too I am struggling with how to implement. It looks easy to distinguish, but not sure if you are to use these words to highlight or the theme of these words. Would appreciate if someone could clarify this for me, because I really would like to use this method. Or even give me some examples. Yes a picture of the color coding would help me too. I’m confused as to whether we color the whole word or underline words. Also do u color every word in a sentence that covers one of the topics listed? I may get a little confused by a sentence with 4 or 5 different colors. I will make a video this week and show you how I do it -so watch for that coming soon! Thank you Courtney that would be appreciated very much, will be looking for the video or any information you could provide. I am excited to do this, want to delve into the study deeper. Thanks Courtney! This is much appreciated for those of us who have never color coded before. Is there a video to further explain the color coding.? Rebekah, I found Precept and use it to study along. Here is an explanation that you might be looking for. 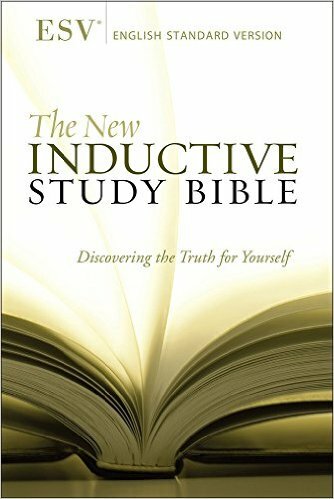 Precept also offers a free course called Why Study the Bible Inductively? If gives you hands on teaching and explains everything from your above question. Once you go to the website, on the left side under “Training You to Read and Understand the Bible for Yourself…” just scroll down where you see the words “Get a free course”. Click on that and all your questions will be answered. I came across this website when I started studying with Precept to help me with my Key Word Symbols. Mainly to help me remember how to mark my Key Word Symbols. It’s a tool to help find certain topics at a glance. Like many other things it’s a tool to help you in your studies. It’s not going to work for everyone, if it doesn’t appeal to you, don’t do it. i’m so excited about this. I did a Peecept study once over twenty years ago but could not remember the methods…this will be truly helpful :-). Our Good Morning Girls group on Facebook has started using Scripture Typer as a way to memorize. One of the ladies formed a group for us and we’ve been working on a few of the Psalms for Dec. it’s been a great way for me to learn…I hope to now add your verse each week to my plan. Thank you for all of your labors on our behalf. Candace Cameron Bure recommended your book on Facebook and I read it on my iPad and found it to be very helpful and have followed your blog since. God Bless You and your family. Such great practical tips to bible study! I love God’s word and have been using your SOAK method for years…I just didn’t have a name for it! LOL. Now if someone asks I can refer them back here! I love the color coded study tip as well…it’s simple yet very easy to remember. I look forward to 2015 with GMG! Thank you for all you do to help cultivate a love of studying God’s word in women’s hearts!! Omg I love coloring. Very excited to start. I have my new journal for 2015 now to get my colors ready. i am SOOOOOO excited to continue on this journey! I am a visual learner so the color code is awesome! i have tried the SOAP format the last few bible studies you have done and honestly without my life application bible found it very difficult to find ways to apply what we should have gotten from a particular passage but I plan to print out the color chart system. I have seen it in one other persons bible and wondered what it meant. Can’t wait to try it. I agree! Without my Life Application Study Bible I would be lost. I love the simple color code system. I was really interested in the precept method but haven’t had time to dig deep into it so this is a great middle ground and a lot like the rainbow bible I bought my oldest for Christmas. I just got a new bible for Christmas and can’t wait to dig into exodus with everyone. I have been missing my daily assignments. 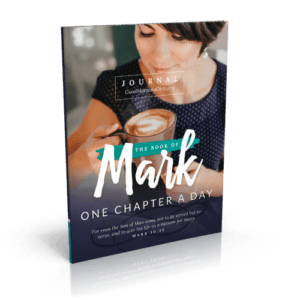 I struggle with more than short devotions when I don’t have a guide as to where to start. This is fantastic Courtney!! I love these new changes and I am so looking forward to using them. Thank you for all you do. You are absolutely awesome lady! i have been trying to figure out a way to dig deeper in God word in a busy life and reading this article about the Soak method I was thinking I could do this and then I was thinking I could start with Exodus since I was doing BSF and missed more weeks than I wanted to. I keep reading and I see that the book you are doing.. What a God moment or as I say God little love letter.. This is exactly what I have been praying for and am looking forward to Jan 29th.. Prayers I can stick with it each day as I hit the busiest time of year at work..
LOVE this Courtney!! Change is good…a new method for the new year!! Good job! If she doesn’t dannah gresh has tons of material for Tweens. Hope that helps. I do not but I recommend Dannah Gresh as well! I’m just thrilled to find you! Can’t wait to get started with you on January 5th! Love all of these ideas and am looking forward to studying with you in the new year! Thank you! Heading out to get my Bible study makers now. Where do you find a package with all those colors? 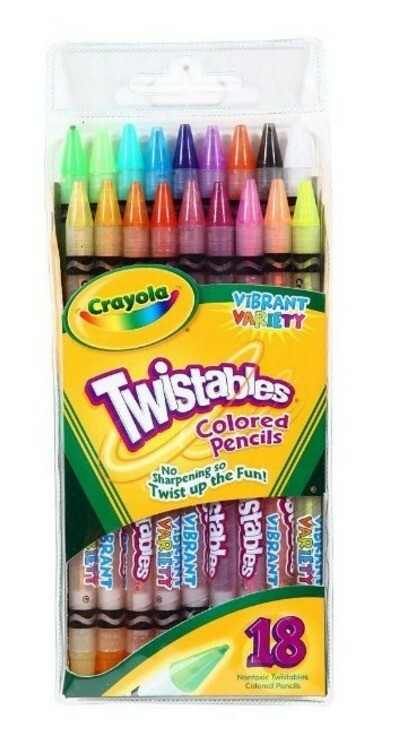 Or do you just use colored pencils? Can’t wait to get started! I just went back to this post and added the names of the non-bleeding pens, highlighters and colored pencils in the jars. So check it out above. I am looking forward to begin in Jan a new study plan. I have been going through breast cancer treatment and found it very hard to keep up. These last couple months. I had a lot of driving time. Not an excuse but a fact. Thank you for leading the learning of our Lord. I so love it. Hello, I am new to the color code thing and I love the idea of it. I am just not sure how it works. Do you use those spacific colors just to highlight a part of scripture that is talking about that subject? For example if the sentence is referring to grace, and it spoke to me, I would highlight it in purple. Thank you. I am going to make a video this week to explain it further. So watch for that coming soon. Excited! This is definitely a desired area of focus for me for 2015! So happy to discover your site; looking forward to reading through Exodus! I love the new ideas for GMG! I think the new SOAK method- goes much deeper. I feel that there’s a reverence about kneeling down to pray. My father always kneeled down by my bedside to pray with me as a child, and my husband loves to pray this way too. I’m looking forward to getting started again in the New Year with our reading in Exodus! I am excited to start the new year in Exodus! The new tools for study will be fun to use to help me every day! Time to hit the store for colored highlighters! i am in! Love the color chart!! So excited for the new additions to our weekly times with God and each other. My children are giving me a journaling Bible for my birthday (yes, I know what they got me), and I’ve been looking for colored pencils to use. I’m definitly going to get them now. I’m looking forward to beginning the new year journey through Exodus and celebrating all that God has to teach me. Love the switch to SOAK (kneeling helps me humble myself before God). I participate in a precept group at my church & appreciate the color coding we use for the studies, but for my own individual study, I really like the simpler marking system you have here. Thank you for all you do to bring women to the Word! Love this method of study. I missed the Genesis study but will def try to catch up. I will be doing this by myself so I will need lots of reminders to keep me in check. Thanks Courtney for putting some much time and effort into this for us. I have found that ever since I started using “ScriptureTyper” for my scripture memory system. I has helped me a lot. You can find it here. I have a home-based business and have been praying for it to take off. I am working with my tiny team and we all agreed that I as a leader need to be leading by example from the front lines. We have pledged to #prayandobey this year. We are keeping daily journals as well as sharing praises and problems. I’ve been wanting to read through the bible but have lacked motivation. I’ve let *life* come first. I’m super stoked about this study and the SOAK method. I think it is going to carry over into every aspect of my life and business. Thank you for doing this! What a fantastic way to study the bible!!!! I love the color coding, I think it is just those words, phrases, or subjects that she has listed next to the color. I will go be going soon. 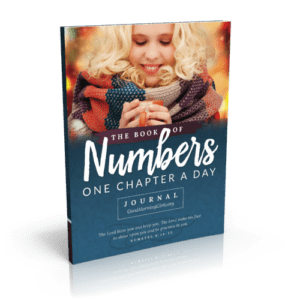 How many pages is the workbook? 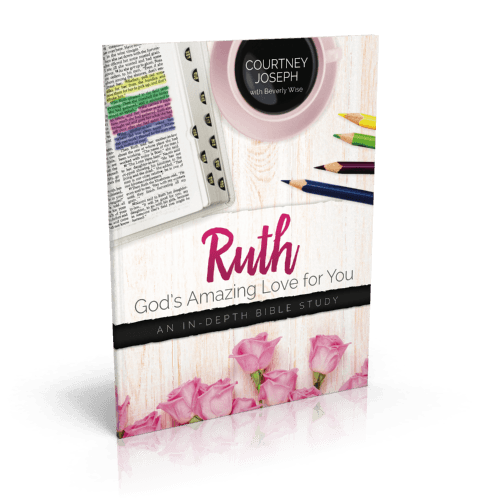 Courtney, I have always wanted to do bible color coding but could never come up with a workable system, using this method of color chart coding is the ideal solution. Thank you for introducing this to us! And I also like the idea of memorization, although for me I will try to put it into practice all five days of the week as this will also help with soaking in the word. I can’t wait to begin! My daughter gave me a new Bible for Chriatmas… Ready to go! Love the color chart and new SOAK method – Great job Courtney! I’ve always been hesitant about marking my Bible – I’ve wanted to keep it clean and not mark it all up. But I’m starting to think different now, I think I will be able to learn and use the coloring as a quick resource of my study. Thank you for the consistent encouragement to use color and notes in the margins – I’ll be trying this method but am cautious of running out of room for notes as I tend to write a lot ;-). God Bless – looking forward to the Exodus Study. Condsidering joining in on trying to read thur Exodus even though I missed the book of Genesis. Will try use the new ideas with the book of Exodus to start the new year. I am so excited for the New Year and this system! Thank you! Thank you Courtney for your constant encouragement for women. I don’t belong to a home church at the moment and am on bedrest with a difficult pregnancy and your blog and positive words help me keep focused even though at times it is hard. I am so excited for your video. I have been reading through your old posts trying to soak up as much knowledge as possible about your study methods. They are so in depth and seem like an easy way to really digest what I am reading. I am excited and ready!!! Courtney, thank you so much for putting your heart and soul into these studies for us! I have been following along and I am loving God’s word more than ever! I just want to encourage you and let you know that you are definitely shining His light brightly. Excited for January 5! good tool to get the word in deeper. SOAK sounds amazing as well as the color chart. Can’t wait to try it! Thank you for all your tips. You have been so helpful during my new journey of digging deeper. I am a fourth grade charter school teacher, who appreciates practical tips on LIFE in order to be more efficient and a better steward of the time God gives me. I personally like to color code the verse number instead of the whole verse since I underline certain words (such as nouns and verbs) and then look them up in the Hebrew or Greek concordance/dictionary for a more clearer interpretation and understanding. I really am impressed and inspired with the story of how your mom used the soap method to disciple you from the time you were in 5th grade. My baby out of 6 children (blended family) is in the 5th grade! Would you mind sharing either on a post or video how your mom did this with you? Or even sharing some visuals of what your journals looked like at that time? I want to teach my daughter how to study the word but at her level, by making it fun and personal without overwhelming her. I didn’t learn until I went to college. I would love to do this with my 14 year old son too. I hope I am not too late. I use the Crayola Twistables. I felt funny using them at first (felt childish)–but they are the best–never bleed through, never run out of ink, and are always on sale when school starts. I love your color guide. When I feel I am struggling in a certain area or need to hear from God, I can quickly find entire verses on the topics by color. Great Post! Does anyone know if there is something like this for tween and teen boys? Or what would any of you recommend? please share if you find out! I love the SOAK version! Also, Thank You for the “Color the Bible” chart! I started doing that after I had read one of your posts in regards to your Mom. I just couldn’t keep a consistent color for each category. So this will help me a lot! Do I need to “sign up” for the Exodus reading plan or just visit the page each day? No need to sign up – just join us here everyday. If you would like to get the blog posts via email – go to my blog sidebar and subscribe. I love this idea. I love the idea of someone teaching me this method so I can learn how to study God’s word. Thank you for doing this. I never thought of bringing a notebook to church to write down what I have just learned. I would just write on the notes section and they are scattered everywhere. Thank you and your mom for that idea. Looking forward to a deeper scripture study using this method. Thanks so much for the info. Love the updated SOAK method, and colored pencils! I think this will help with studying God’s Word more in depth. Thank you! Hi Courtney, I love your blog. It’s funny because I didn’t grow up in church and was never taught any special method, but this is basically the way I study the Bible also, just on my own. I don’t color coordinate the markings in my Bible, though I do highlight special verses. I did have a question though. This seems like the same thing, except “kneel in prayer” instead of “prayer.” ? I’m confused about how this SOAK method is different from the SOAP method. Maybe I am missing something. Hi Courtney! Would you mind giving us a little more detail of the discipleship by your mother? Also, can you give me any helpful resources to use for a family devotional with my kids before school? Thank you. Excited about these methods and our study as well. Skip ahead to 20 minutes and 15 seconds to hear about my childhood journal. I am not familiar with the Toronto Church or this video. This plan has no relation to them and it sounds as though they are unBiblical – so of course we would reject that here at WLW. The S.O.A.K. 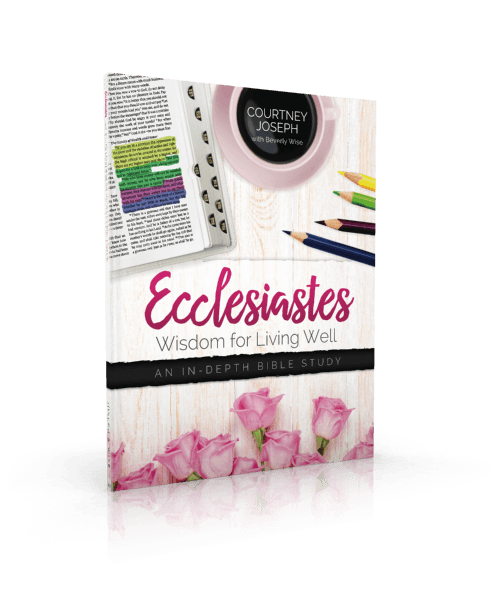 is an acrostic that stands for Scripture, Observation, Application, Kneel in Prayer. Thanks so much for the clarification. I am so thankful there are women out there that only want the truth about God and his word. I am so glad I found GMG several years ago and have been doing studies with you and my dear friends I met through this ministry. We all anxiously await Jan 5th to get started. Thank you so much for following God’s lead in your life so others can be blessed with the knowledge God gives you to share. God Bless you and your family today and in the New Year. For those of you that have iPhones or iPads, there is a free app called Scripture Typer that is a great tool to help you memorize scripture. There is another app I just came across on the desiring God website called Fighter Verse. One negative to Fighter Verse is it only has one translation option, ESV. I wouldn’t mind but my bible is NLT. I don’t have a negative thing to say about Scripture Typer. Just thought this may help! 1) I love the change to SOAK! Especially with the analogy of becoming Scrpture sponges. And, I love a good, hot bath. So calming. Love thinking how soaking in God’s Word is life! 2) Thank you for the color chart! After I was introduced to your blog, I went right out and got some colored pencils, but being a little OCD (…ok, a LOT OCD, grin) was a little stumped and wanted to come up with a code for myself. So, yours is wonderful! 3) Wanred to share how I “met” you. I’m a RN and work for a large hospital system that has several campuses across my city. I work at three different ones throughout the week. One day I had a patient that had brought her Bible and a current study she was doing to work on in the waiting room. I asked her what she was reading and could tell she was a little hesitant to share it was the Bible and it is a “touchy” subject in that setting. I winked and told her I could tell she was reading my favorite Book. She then told me about the study she was doing but told me her favorite way to study was with you! She told me all about SOAP and your blog, so here I am! I grew up with Godly parents and the things you write about your Mom remind me of mine. I so love Jesus and have been a Christian for many years, but struggle with quiet times. Still after so many years. 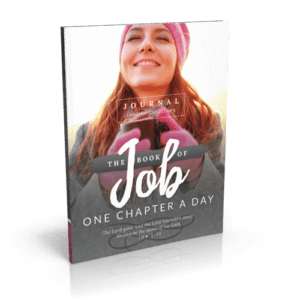 I love a method and a plan, so I’m excited to begin journeying with you! I am so excited to have found you, but am still trying to wrap my brain around how this “program” works logistically. I get the color coded system (& as a visual learner, I’m thrilled!) & I see you have a printable reading plan, an eWorkbook, & a blog…how do I access these materials? Is the eWorkbook something I need to purchase? I shared your link with my friends on facebook & several of us want to join in, but I wanted to make sure I was equipped with the necessary materials & information for them. I plan to set up a private group fb page for us as well to help with accountability & anyone that may be more comfortable with a smaller group. Any suggestions or advice from someone who’s done this before? thanks & much love! Everything is free and there are no sign-ups or enrollments required. Easy peasy 😉 I’m here to serve you. To join our Facebook Group for leaders of GMG groups – please email goodmorninggirls@womenlivingwell.org and the link will be sent to you. This group is there to support you as a leader. Thank you so much for posting this! Always trying to find new ways to get more out of scripture when reading on my own. I will be sure to use this method. I love your site! Helps to keep me on track and I really thank you for it. You truly emulate grace Courtney. So thrilled to start a year off with the right mindset and heart set. Not necessarily in that order. 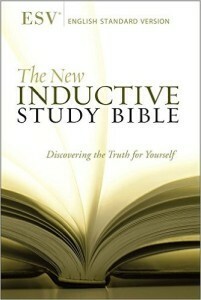 I’ve always wanted to “study” the word more deeply but have always had difficulty knowing where to start or even how. Your method (SOAK) is so simple and encouraging. Also, reading one chapter per day is such a “relief” when trying to get in time for study with a toddler. I am curious though, I cannot seem to find the memory verse for this week. I too would like to get print several copies so that I can have them all over the house in order to memorize. Thank you for this ministry……I’m really glad to be here. Hi Ana – so glad you are joining us! I am feeling so Blessed to have been introduced to this study of Exodus. I pray that we all stay with it and that God uses each and everyone of us in our own unique way. Blessings to all! Hi. I just came across this while looking for highlighter pens for bible study. I asked my in-laws to get me a new bible for Christmas which has a bible study. The NIV Discover Gods Heart Devotional bible. And I am so excited to be brought to your site!! I love the SOAK idea!! I love the colour code. It’s just what I need! It is just all in Gods perfect timing and it is actually bringing tears to my eyes as I type this. God is good! Thank you so much for being a YES person to the leading of God in your life and I look forward to this journey with your enablement. Thanks for all your help and guidance. 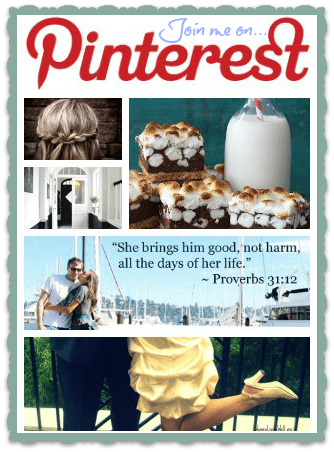 Are you on pintrest? I will try bookmark this page. Thanks for sharing this post! What a blessing to have a godly mother who Loves the Lord and makes her relationship with Him her top priority! I was in a Bible study many years ago, where I think a similar method was used. However, I believe, there were also symbols used, so for example if one colour is used for God, Jesus, the Holy Spirit, etc. a different symbol would be used for each one (I believe a triangle was used for God). Plus words that led to something such as but, etc. were marked in a different way, I’m not sure if they were underlined or not. I would really appreciate your input, because I feel using the different colours, plus different symbols in each colour, would be even more effective. I just joined the website today and I really love the color coding and all the other things on this website. This will help me out a lot in learning the bible more. I am my pastor’s secretary and I write down his sermon #, sermon title, sermon text for that sunday. and i have my own personal notebook that i take notes in when my pastor is preaching, teaching us God’s words. He preach straight from the bible. I use to go to church every sunday, but i go every other sunday. I really enjoy this. Welcome – I’m so glad you are here! That would be wonderful if you laminate the coloring bookmark – great idea! Keep walking with the King of Kings! Would you be able to send me copies of your highlighting method to me at my street address, as I have no way of printing anything? Hi so I’ve only been going to church about two years now and about a year ago I read the whole bible. 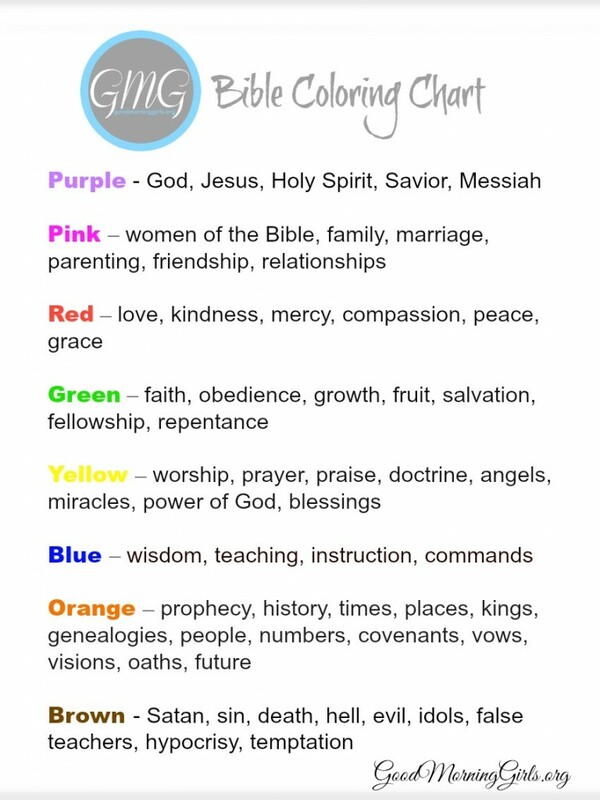 Recently I have wanted to get into bible color coding so I can get more out of the scripture. What are some tips and tricks to getting started? I would really love and appreciate input.